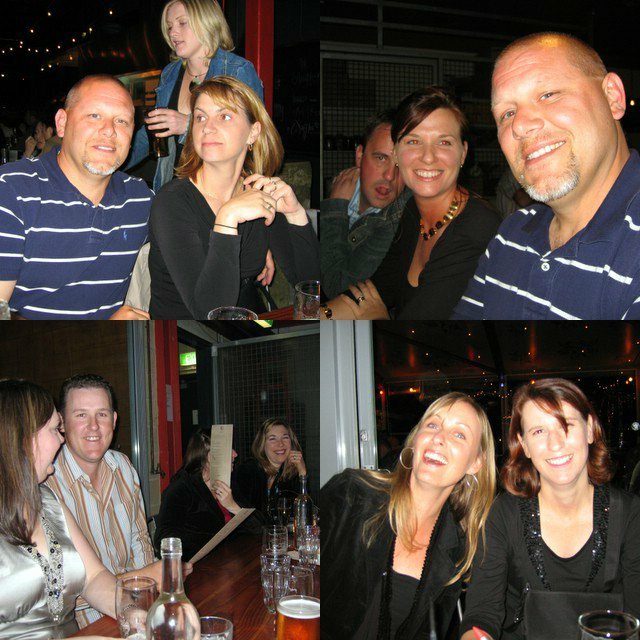 Saturday night was the 'reunion' night - thanks to Travis' excellent social planning skills, a great group of old friends gathered for beers at Little Creatures Brewery before heading over to Rosie O'Grady's for the remainder of the night. We got home at 3am that night. Huge thanks to Trav's parents what babysat the boys for us. The night wouldnt have been such a success without them. Clockwise from top left: Mike and me with Isla in the background; Trav, Leanne (who we just love!) and Mike; Wendy, Brett, Debbie Poole and Kya-lee Larson; Monique Hicks and Jodie Harris (nee Ross). I wish I'd taken more photos throughout the night - there were so many more great people who joined us but I was just too darned busy having a good time! Why don't you love ME!!!! !